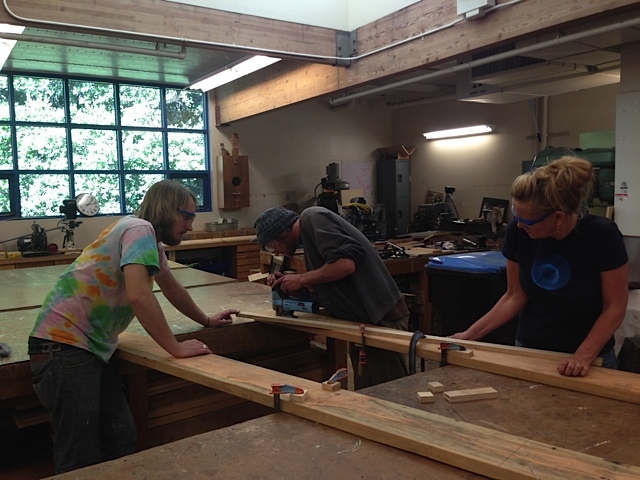 The Peer Gynt Project and the Mechatronics Group are at work on their upcoming multi-space theater performance. This collaborative production of Peer Gynt combines traditional theater with new media arts, introducing a 21st-century audience to Ibsen's timeless play that questions—from a dizzying array of angles—the nature of the self. Directed by Kimberly Jannarone, professor of theater arts. Developed and produced by the UCSC Theater Arts Department and the Digital Arts and New Media Program. - March 8 lecture with Norwegian scholar Dr. Vigdis Ystad.